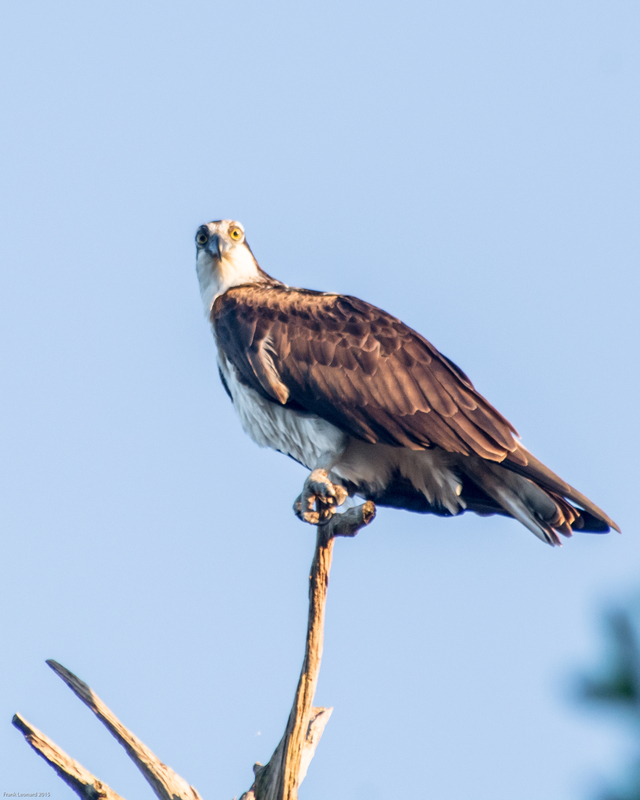 It’s been an osprey weekend, both at Mullet Lake Park and at Orlando Wetlands Park. The sun was just right on this bird. 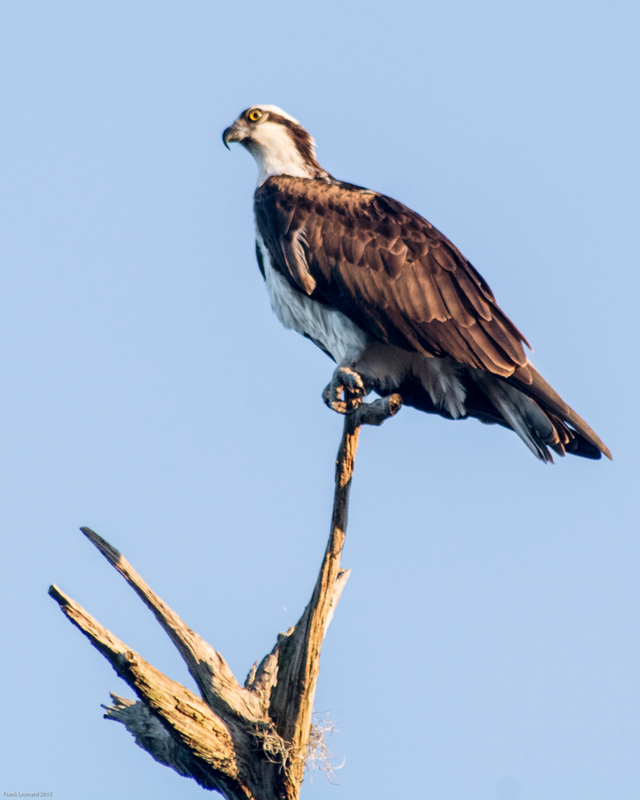 At the wetlands there was a pair of young osprey trying to build a nest on the top of a dead palm. Poor guys, in addition to being a month or two too late, they couldn’t build a nest because there wasn’t enough base – but they have been trying for over a week. We decided they must be young – practicing for next year.